You are going to Watch Naruto Shippuden Episode 372 English subbed online free episodes with HQ / high quality. 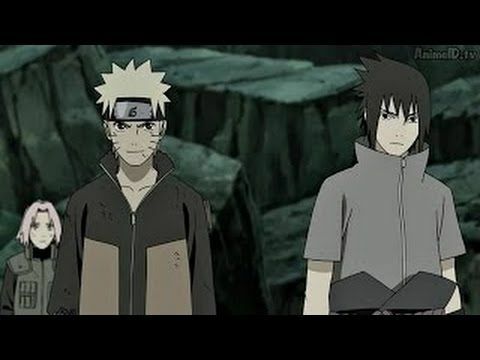 Stream Anime Naruto Shippuden Episode 372 Online English sub Something to Fill the Hole. Ten-Tails fires his enormous Tailed Beast Ball to the Alliance. Shikamaru, with the help of Ino’s jutsu, devises a last-minute plan to counter its powerful attack by creating a earth barrier and Bee to slow down the Tailed Beast Ball to change its trajectory. However, it manages to pierce through barriers of the Alliance and Bee quickly blocks its on his own. The ball suddenly disappears as Minato arrives, telling the Alliance that he teleported it to the sea. The other Hokages soon arrive and create a special barrier to trap the Ten Tails. Sasuke arrives much to the shock of Konoha 11 when he tells them that he is decided to protect the village and aspires to become Hokage. Reuniting with Naruto and Sakura, Team 7 prepare themselves against the Ten Tails. Meanwhile in Kamui’s dimension, Obito continues to berate Kakashi about the frailing reality in this world and value of comrades but Kakashi tells Obito that losing the feelings of his comrades are much worse than trash and he believes that his comrades will fill the hole inside his heart.